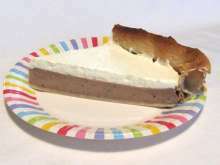 Easy dessert full of chestnut flavor. 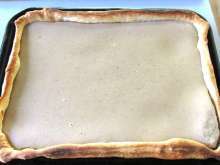 Use a rolling pin to spread the puff pastry on floured board until it has size 38x48 cm. 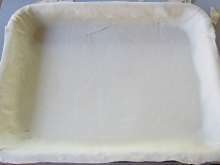 Place the pastry into the baking tin so that it covers the whole sides. 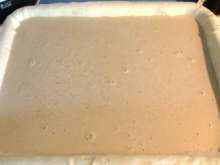 Cut off the excess pastry at the corners. 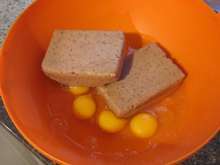 Put eggs in a deep bowl and add defrosted chestnut puree. 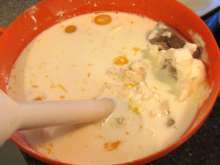 Add cream cheese, pour pudding powder and sugar in. 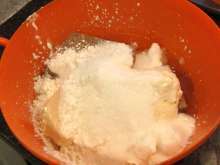 Pour milk in and use a hand blender to blend it until it becomes smooth. Pour it on the pastry. 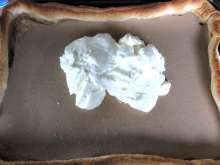 Bake in preheated oven at 355°F (180°C) for about 25 -30 minutes. Until then the liquid mixture becomes stiff. Allow it to cool. 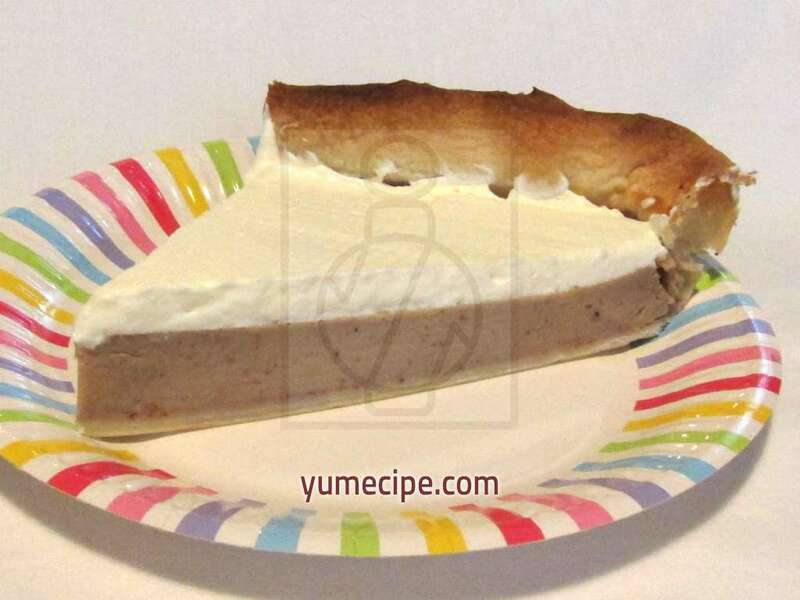 Prepare whipped cream from whipping cream and cream stabilizer and spread it evenly over the dessert. 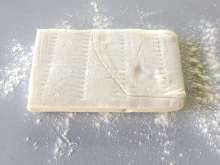 Place it in the refrigerator for 2 hours. Before serving, cut it into big or small triangles, to your taste. Number of portions depends on the size of triangles.